As the year winds down, we finally have the last new Volkswagen vehicles of the year. Both of Volkswagen's traditional sedans have unrolled their 2018 models just in time. We welcome the American introduction to the 2018 Volkswagen Jetta and the 2018 Volkswagen Passat. New models for our favorite vehicles come out every year. So, while it's understandable to get excited, it's also important to know about the changes these new models bring. For example, let's take the new 2018 Volkswagen Passat. How does it differ from the 2017 Volkswagen Passat? What new features does this 2018 Volkswagen sedan bring to the table? The brand-new 2018 Volkswagen Passat is out now. 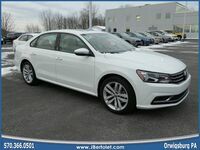 Currently, the 2018 Passat and the 2018 Jetta are arriving at Volkswagen dealerships across the country over the next few weeks. 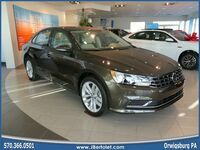 Here at J. Bertolet Volkswagen, we already have both the new Passat and Jetta models in stock and available for purchase. Come visit us at our location in Orwigsburg, Pennsylvania to take a look at our wonderful inventory of incredible Volkswagen vehicles.